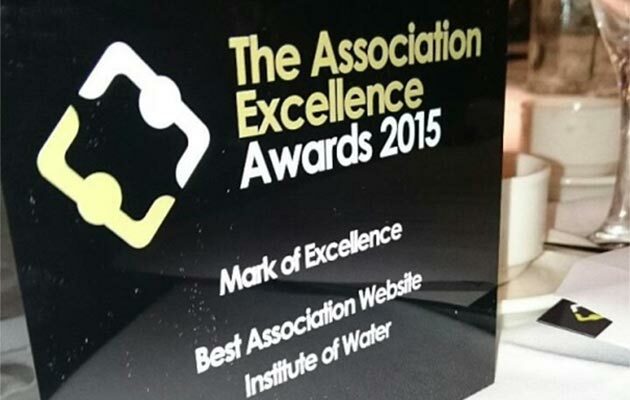 Our client The Institute of Water were awarded the Mark of Excellence for Best Association Website at The Association Excellence Awards 2015 held in London on Friday. The Association Excellence Awards recognise and celebrate the work done by individuals and teams from professional and trade associations, with entries judged by over 25 of the most accomplished senior association leaders. We worked closely with the team at Institute of Water on the development of their new website, which acts as a central hub for Members allowing them to book events, pay invoices, and benefit from their unique online CPD platform. We’re looking to build on this success with more improvements to the member engagement process, so here’s hoping for more success at next year’s awards!